Planet Comicon 2012!!! The Buck Rogers Panel Q&A!! 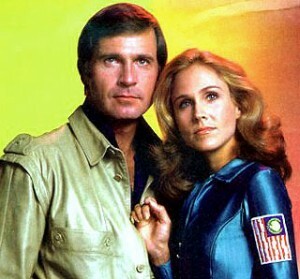 The Buck Rogers Q&A panel at Planet Comic Con in Kansas City consisted of Gil ‘Buck Rogers’ Gerard, Erin ‘Wilma Deering’ Gray, and Felix ‘Twiki’ Silla. Their lively batter between the cast showcased their love for one another. They talked about ‘Buck Rogers’ and their experiences with the creative team, their costumes, Gil’s upcoming book about further adventures of Buck Rogers, Felix’s expose book about his career, and extinguished the rumor of ‘Buck Rogers Begins’. Erin can be seen in ‘The Guild,’ and ‘Silver Spoons.’ Felix can be seen in ‘The Addams Family’ as Cousin Itt, and ‘Star Trek TOS’ as the Talosian. Gil can also be seen in ‘Nightingales,’ and ‘Sidekicks.’ Enjoy the hilarious moments in the video below. Planet Comic Con 2015 Is Here! This entry was posted on Tuesday, April 17th, 2012 at 5:03 pm	and is filed under Events, News. You can follow any responses to this entry through the RSS 2.0 feed. You can skip to the end and leave a response. Pinging is currently not allowed. « Planet Comicon 2012!!! Billy Dee Williams Q&A! !